Hi guys! 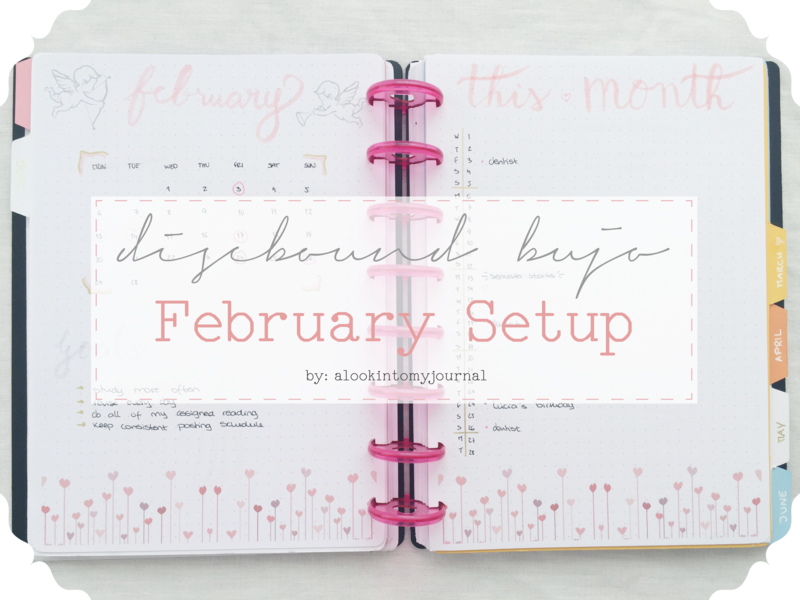 Today I bring you my bullet journal setup for the month of February. This will be a companion post to the video below, in which I will explain how I use each spread! 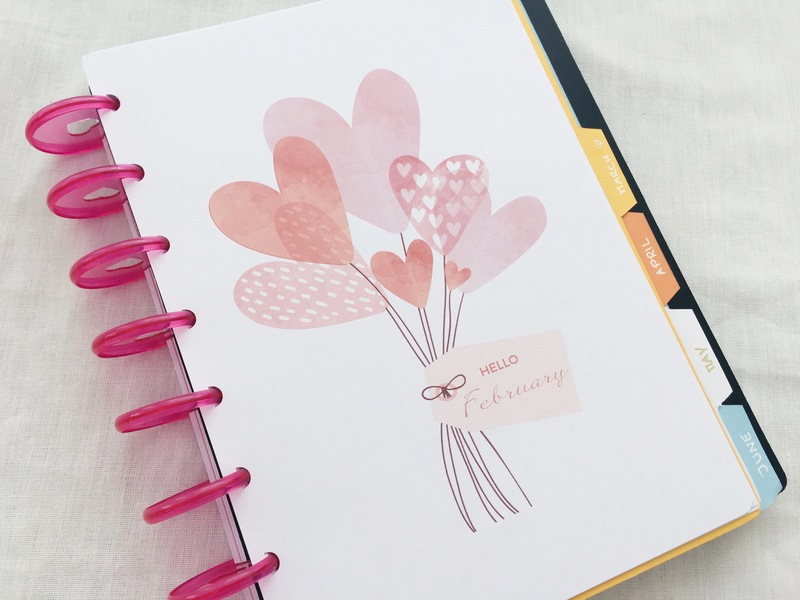 The first page of February is a girly page that I put together, using a vector from freepik.com. I really love how it turned out! Next is my monthly spread. On the left is a traditional calendar and my goals for the month. On the right is a calendar in list format. I make a circle on the left on days I have events or appointments, and then I write on the right what it is. The next page is my schedule for the spring semester. 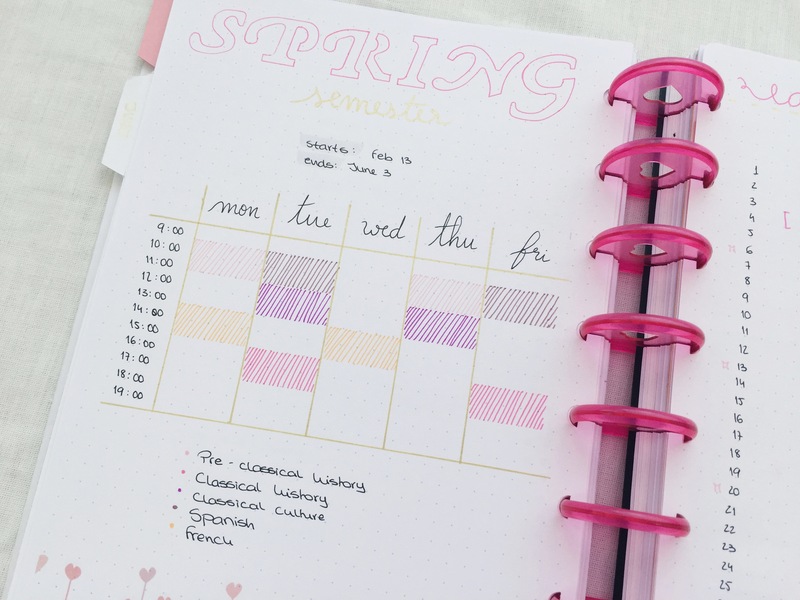 This spread is pretty simple: I assigned a color to each class and filled in the time/day in which I will have that class with little strokes. Following the schedule, I have my editorial calendar. 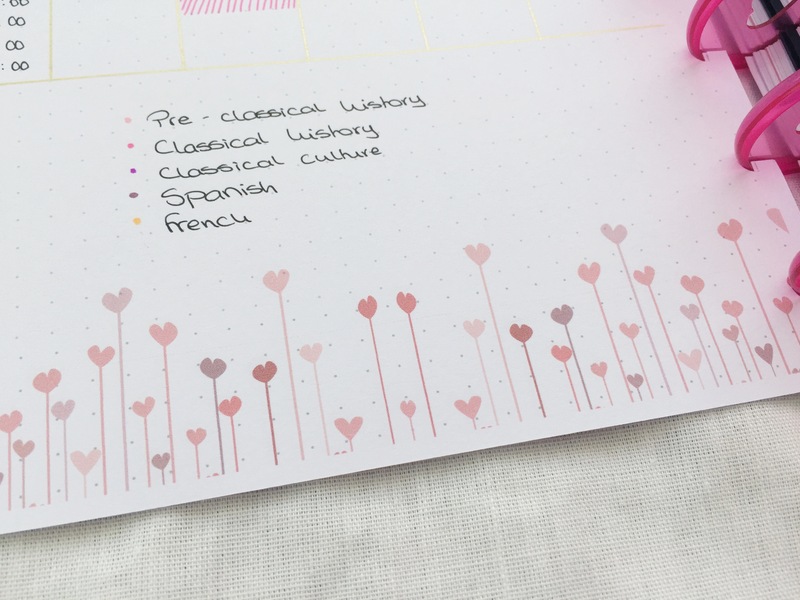 I took inspiration from Nicole’s Journal because hers was a very simple and effective calendar, so I thought I’d give it a go. 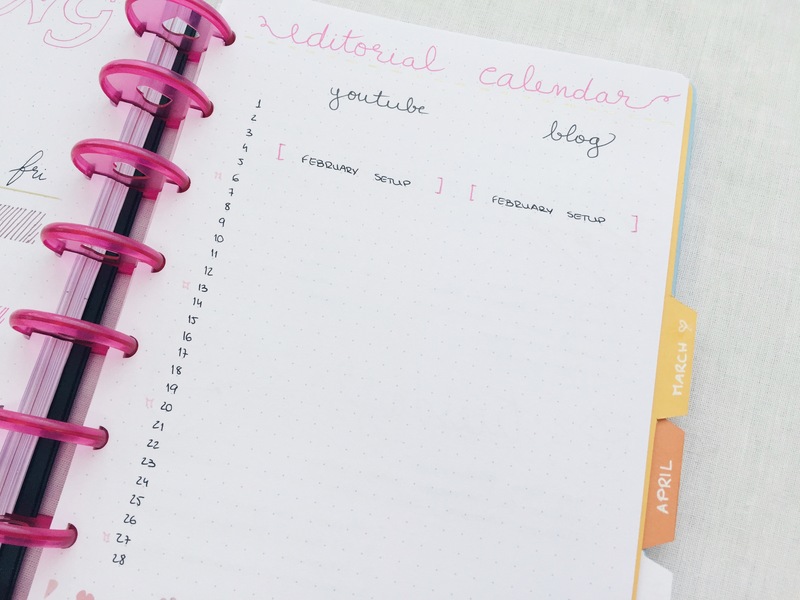 I will use this to plan my videos and blog posts, since they go hand-in-hand. 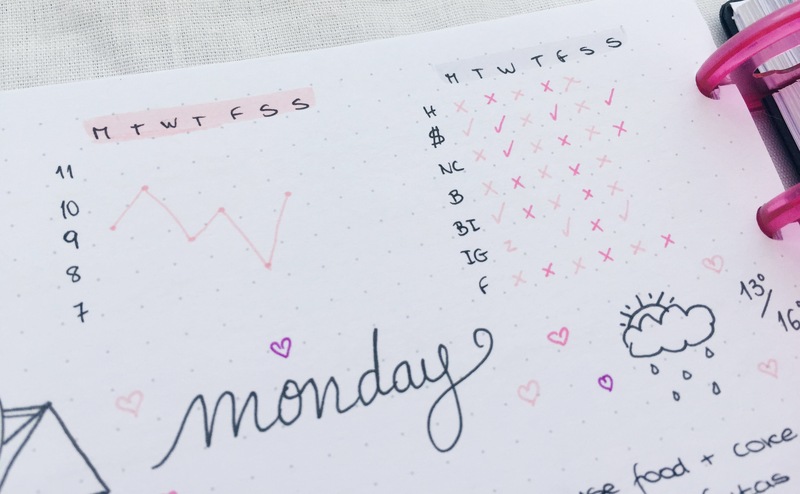 I also added a little “M” to each monday, so that I don’t have to constantly flip back to my calendar page to see which day of the week a certain day is. And finally, we get to the weekly/daily spread. I sort of combine the two, as you will see. At the top, I have which week of the year it is, as well as my weekly trackers. If I have any tasks/appointments that are due this week, I will also add that at the top. I use these trackers to track my sleep, as well as my habits. For the sleep tracker, each day I will add a dot to a little square, indicating how many hours I slept. Then, I connect the dots and the end result is a little graph! I added a key that I made out of cardboard, just in case I forget what the abbreviations are on my tracker. Alright guys, that is all for my February setup!